Making and Keeping the Promise that Guarantees Success! For the first time, this world-famous inspirational training is available at your location! If you’ve enjoyed a Cinnabon, Sunkist citrus, Essentia water, or Ketel One cocktail, been a guest at a Westin, Homewood Suites, Embassy Suites or Hampton Inn hotel, visited Vancouver, British Columbia, Napa Valley, Santa Monica or Estes Park, Colorado, shopped at Bloomingdale’s or used a Targus computer accessory, you’ve experienced the power of our proprietary “Promise” philosophy. Thinking like a brand requires a different mindset, perspective and approach than just business as usual. The BrandPromise Commitment is the key to this unique approach and is absolutely fundamental to creating, developing or enhancing a new or existing Genuine Brand. A Promise is written to define the intended functional and emotional benefits, from the customer’s point of view, once they have experienced an organization’s products and services. Because it incorporates the customer’s viewpoint, a Promise is distinctly different from a business’s mission or vision statement. Mission and vision statements generally represent what an organization or company wants to be or do. The Promise represents an organization’s commitment to its customers and how it wants them to feel. Customers develop their perception of value through a subjective feeling that is a result of comparing the brand’s product and service offerings with those of its competitors– all of which is based on his or her own needs, preferences, buying behavior and characteristics. Thus, a customer’s perception of value constantly changes. Consequently, the brand’s ability to deliver value and delight customers is deeply rooted in the Promise. 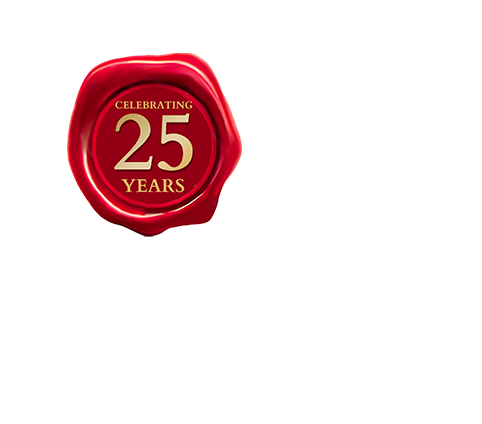 Growth comes from serving customers better (not bigger) and concentrating on the brand’s distinctive competence. BrandStrategy, Inc. has trained thousands of executives, board members and front-line associates worldwide. What’s Your Promise?- Understanding the importance of an organization’s and individual’s Promises. Developing Your Promise- Learn how to apply the PromiseRule and develop a one-of-a-kind Promise that creates and fosters success. Best Promise Practices- Enhance your success based on the Promises of other successful brands, such as Disney, Costco, Zappos.com, etc. Keeping Your Promises- Create exceptional customer experiences by delivering your Promise and inspiring others. BrandPromise symposiums are perfect for business owners, front-line associates, retail or corporate managers and executives. They can be scheduled at your convenience. 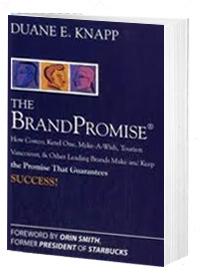 The symposium includes a personalized copy of The BrandPromise book and a BrandPromise Guide. Recommended maximum size for groups is 25-30 participants. For more information including pricing and available dates, please contact us.